Join us for a week of special services, a family night, our Alumni Concert and so much more! It's an event unlike anything ever held at Mt Zion and we want you to be a part. We're inviting current members, alumni and the Wilkes-Barre Community to join us for this exciting week of activities. Wait. Prices? Why is Mt Zion Charging for these events and materials? 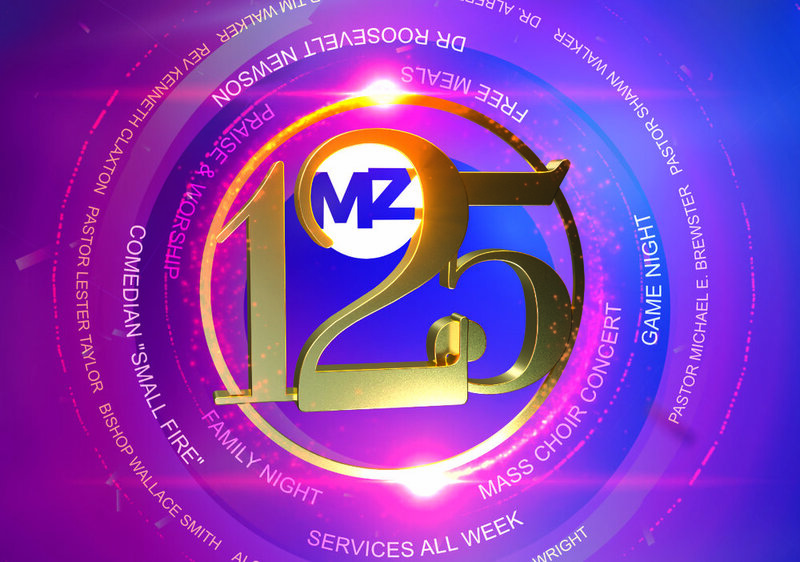 The 125th Anniversary Celebration is unlike any event that Mt Zion has ever held. We're bringing in special speakers and entertainment from out of town, we're producing high quality materials and hoping to make it a week to remember. Of course, doing so costs money. What we're asking from you is just a little bit to help defray the costs. In addition, you may know that Mt Zion is in the midst of a giving campaign called Reach, with the goal of reaching the more than 50,000 unchurched people in the Wilkes-Barre area. Your contribution to the 125th Anniversary helps us to get ever closer to seeing God's vision fulfilled. A highly polished keepsake you'll want to hand down. This book will be chock full of Mt Zion history, pictures, and other tidbits you won't want to miss. Get your name and contact information in the 125th Commemorative Book. 1 book comes free with purchase. Get your picture, name and contact information in the 125th Commemorative Book. 1 book comes free with purchase. Includes dinner and entry to Family Game Night starting at 5:30 on Friday October 12. Popular Christian Comedian Small Fire, once known as Small Fry, takes the stage Saturday Oct 13th at 7pm. Get access to all the events above for one low price. After service on Sunday, we'll all take a trip to eat all we can eat at the Harvest Buffet in Wilkes-Barre. We're roping off the best seats in the house and giving you the opportunity to have a saved seat for every event. This option must be purchased as part of the platinum package or alongside a weekend pass. If you are one of the proud members who fulfilled your Reach commitment, make sure you get your discount code before you order your tickets for an extra 20% off your order.